Energy efficiency is promoted by the International Energy Agency as the ‘hidden fuel’ that contains one of the highest potential for climate change action globally. The EU’s energy efficiency mandates are some of the prerequisites that Turkey has to follow during its process of EU accession. Meanwhile, Istanbul is under severe seismic risks and the threat of earthquakes has played a crucial role in enacting of the 2012 Law of transformation of Areas under the Disaster Risks no.6306, which has been instrumental in expanding and consolidating construction activity in Turkey, particularly Istanbul. 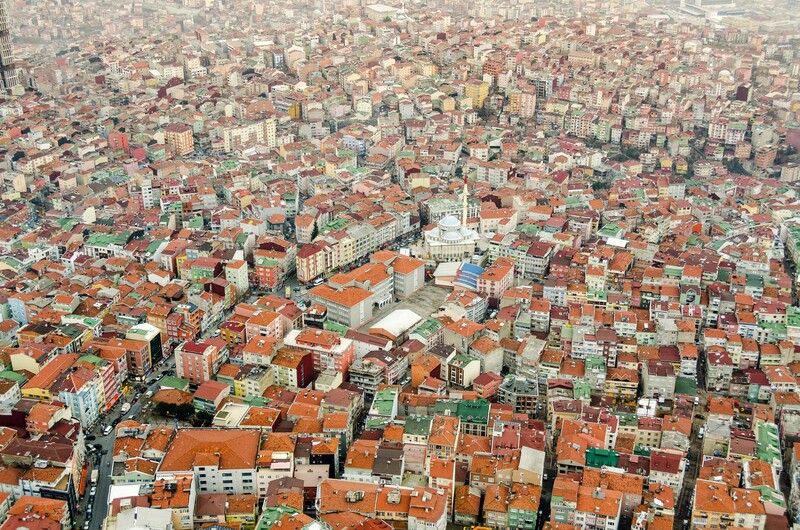 Based on this background, we investigated Istanbul’s seismic-risk driven urban renewal projects and the drivers of energy efficiency in residential buildings. 3. City-regime interaction with locally emerging business niches. We benefited from both qualitative and quantitative data. As quantitative indicators, we looked at the primary and final energy use, and carbon emissions at the housing sector over time. We also looked at factors—such as building stocks, energy performance certifications, and living space areas—that can explain changes in the overall energy efficiency. As qualitative indicators, we collected data from a range of official documents related to earthquake risks, energy efficiency and climate change in Turkey, focusing specifically on Istanbul in order to assess the city’s ability to simultaneously address the climate change and earthquake risks. We also organized two workshops and invited professionals from urban renewal projects and energy efficiency sector in the city to inquire their perceptions on urban sustainability, urban renewal, earthquake and climate challenges. This study suggests that the centralized nature of the national policy-regulatory system makes it hard for local administrations to make any binding obligation related to energy efficiency in their municipal boundaries. The case shows that the law no.6306 and the 2007 (Energy Efficiency Law) cannot play a critical role in reducing carbon emissions and creating more sustainable living spaces for the new and renovated seismic-ready buildings. The three levels of interaction, if have had realized, could have helped Istanbul mitigate anthropogenic climate change through investments in sustainable buildings combined with a significant increase in green spaces and social infrastructures. The findings of the case study are already represented in academic conferences, and two - case specific - papers submitted for a peer-review journal.